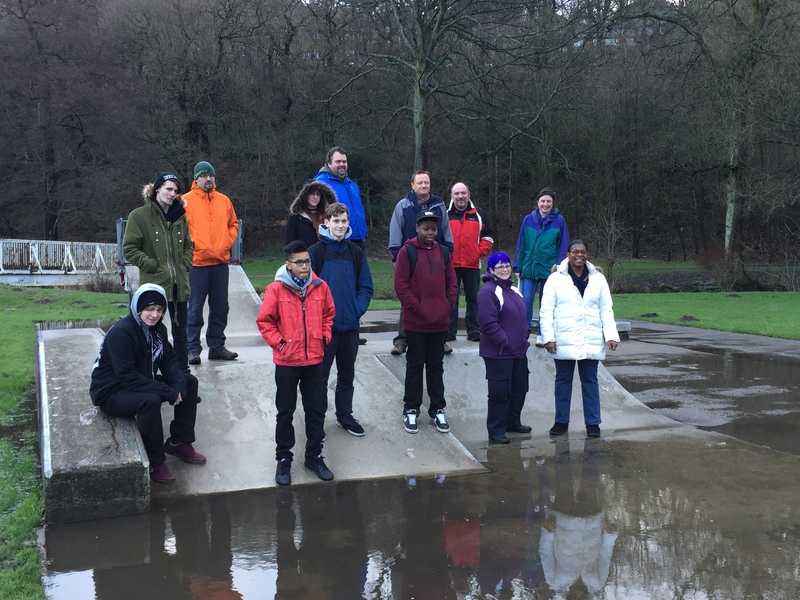 Jason joined members and friends of the Skate4Isaac project at Sands in Holmfirth on Saturday morning. Skate4Isaac is a fundraising project for the expansion of the Sands Skatepark in memory of Isaac Atkinson who died in June 2012. Over £70,000 has been raised and plans have been submitted to Kirklees Council. Jason has supported the project from the beginning having met Isaac and his friends when they first came up with the idea of improving the park. Jason is committed to continue working with the group to help bring this project finally to fruition.